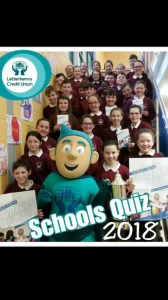 Captain CU and staff of Letterkenny Credit Union visited Kilmacrennan NS this week to launch details of the 2018 Credit Union Quiz. 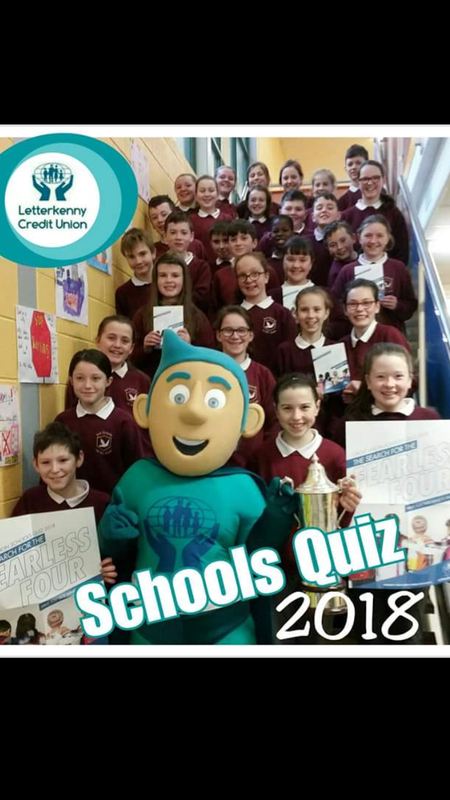 Kilmacrennan School was chosen to launch the local quiz as the school are the current All Ireland Champions. The 2018 LK Credit Union Schools Quiz will be held in the Mount Errigal Hotel on Monday 29th January 2018 at 8pm. Print article This entry was posted by Admin on December 15, 2017 at 9:29 am, and is filed under General. Follow any responses to this post through RSS 2.0. Both comments and pings are currently closed.